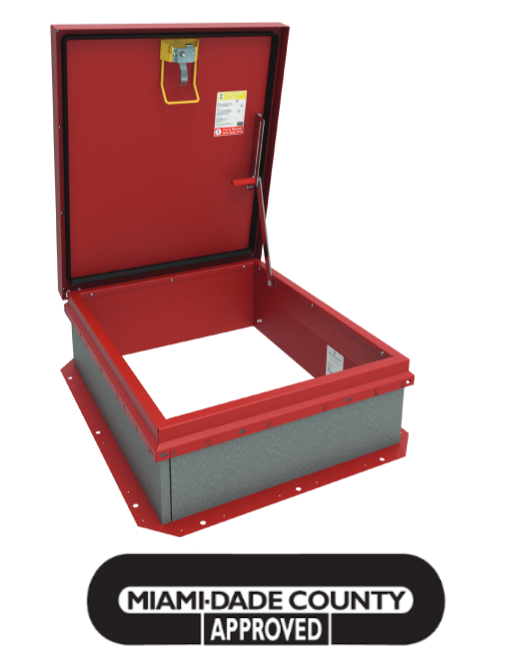 Built to withstand nature’s toughest storms, Babcock-Davis’ Hurricane Hatch™ is ideal for regions extreme wind conditions. This hatch was tested for wind-uplift, forced entry and air infiltration. INDUSTRY’S BEST Wind uplift meets Florida and Miami-Dade standards with design pressure performance of +/- 70psf. RAILING-READY Safety railings install quick and easy with predrilled counterflash, designed to meet the 42" height requirement per OSHA and IBC.